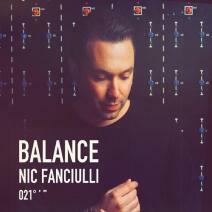 Another round of the ever illustrious Balance series mixed by Nic Fanciulli or Nic F as he is known by many. The two disk mix spans the ages of classic house rhythms while maintaining the forward moving sounds of raw tech-house. It is without question that the level of professionalism and class that Nic displays are what makes dance music as enjoyable as it can possibly be. The soundscapes, track selections, and a variety of grooves are exquisite at times; others remind me of how far house music has come. The first cd has many throwback qualities that could be very alluring for the right audience. The second cd goes further into a more futuristic percussive zone which is spectacular. Tracks on disk 2 that stand out are Philip Bader, “Amir Loves You” (Nic Fanciulli Davide Squillace Remix), Nic Fanciulli “Wild”. As far as mixing, Nic’s style could be considered flawless. His mixes, fades, and blends work seamlessly to create vibe after endless vibe. The Balance series has always maintained a prestigious group of producers and DJ’s in their pool that bring something different to the electronic table each time and we look forward to the next one.